Canadian Imperial Bank (CM – Research Report) has received a rating update from a Wall Street analyst yesterday. 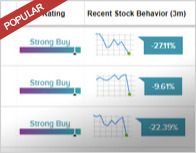 Analyst John Aiken from Barclays reiterated a Buy rating, with a C$123 price target. 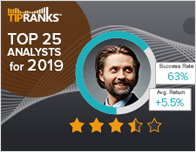 According to TipRanks.com, Aiken is currently ranked with no stars on a 0-5 star ranking scale, with an average return of -2.3% and a 36.7% success rate. Aiken covers the Financial sector, focusing on stocks such as Canadian Bank of Commerce, Manulife Financial Corp, and National Bank of Canada. Canadian Imperial Bank has an analyst consensus of Moderate Buy, with a price target consensus of C$125.83, representing a 12.7% upside. In a report issued on February 19, Canaccord Genuity also reiterated a Buy rating on the stock with a C$125 price target. Based on Canadian Imperial Bank’s latest earnings release for the quarter ending October 31, the company reported a quarterly revenue of C$6.68 billion and net profit of C$1.27 billion. In comparison, last year the company earned revenue of C$5.95 billion and had a net profit of C$1.32 billion. Canadian Imperial Bank of Commerce is a financial institution, which engages in the provision of banking and wealth management services. It operates through the following segments: Canadian Personal and Small Business Banking, Canadian Commercial Banking and Wealth Management, U.S. Commercial Banking and Wealth Management, Capital Markets, and Corporate and Other. The Canadian Personal and Small Business Banking segment provides personal and business clients with financial advice, products, and services. The Canadian Commercial Banking and Wealth Management segment offers banking and wealth management services to middle-market companies, entrepreneurs, high-net-worth individuals, and families, as well as asset management services to institutional investors. 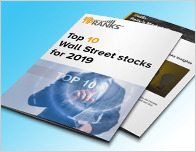 The U.S. Commercial Banking and Wealth Management segment includes commercial, personal and small business banking, and wealth management services. The Capital Markets segment consists of integrated global markets products and services, investment banking advisory and execution, corporate banking and top ranked research to corporate, government and, institutional clients. The Corporate and Other segment refers to the functional groups such as administration, client connectivity and innovation, finance, human resources and communications, internal audit, risk management, technology and operations, and other support groups. The company was founded on June 1, 1961 and is headquartered in Toronto, Canada. The company’s shares closed on Thursday at C$111.63.